Unless you operate a small business that flourishes solely within your local region, you probably travel … a lot. Many people find vacation travel is stressful, but it doesn’t hold a candle to business travel, where you often operate on a strict schedule while battling against travel delays — and you need to conduct business as efficiently as if you were still at the office once you get to your destination. The good news is that you are not alone. In fact, our own founder and CEO, Leo Welder, has become somewhat of a business travel expert. His contributions to the following tips can help you learn how to operate on the road as if you were still at home. So, how can business travel neophytes quickly become adept travelers? Here are six tips that can make a difference. To learn some valuable techniques, check out Seven Simple Steps Toward a Paperless Office. Free miles are usually top-most when choosing a flight. But, there’s more to consider. Perhaps a road trip would actually save you time and money when you factor in airport wait times. On the other hand, Welder points out that there’s value to working while waiting in an airport or on a plane — or even on a train, so when travel times are equal, you can be more productive by leaving the “driving” to someone else. Of course, keep up-to-date on new security developments. A plane ride might not provide the best productive time if you can only use your smart phone. Before deciding where to stay and shopping for the best price, think about the time that you plan to spend there. A comfy bed and a TV might be enough if you don’t plan to spend much time in your room, but Wi-Fi and a surface to work on your devices might be essential if you want to work between appointments. You also need to consider location. Proximity to your appointments may not be a major concern if you have a vehicle. But, if you need to take a cab or a ride-share, the dollars you spend can add up in a hurry. 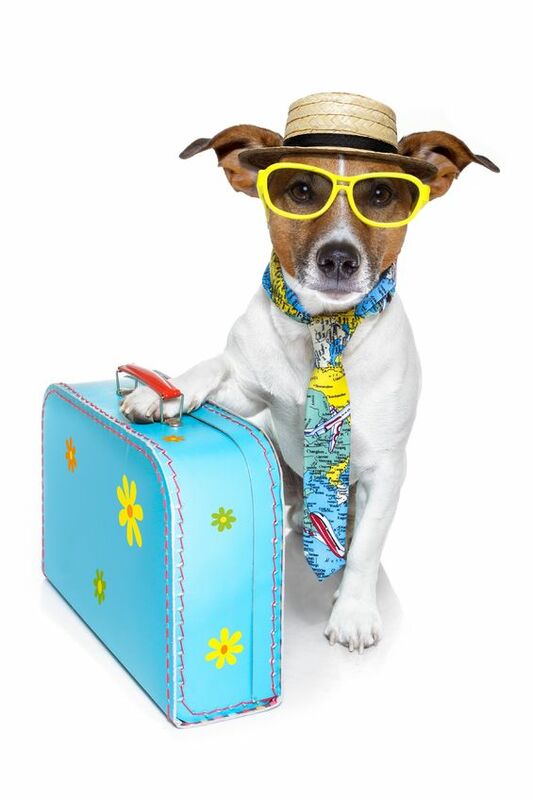 Preparing for the basics: Make sure you have pre-packed duplicates of common items ranging from grooming aids (in appropriate containers based on airline requirements) to chargers for phones and other devices. Packing time is also reduced is you maintain reusable list of clothing that you always need. Don’t forget casual wear for sight-seeing or a morning jog. Getting technologically smart: Experienced business travelers carry all the devices they need to conduct business, and technology adds a whole new dimension to business packing. According to Welder, “Another thing that I highly recommend is getting a slim second screen for your laptop.” He enjoys having this USB portable monitor available to increase his screen-viewing real estate. The USB connection helps to avoid the need for a VGA or HDMI connection that is compatible with the computer. It also powers the monitor without requiring a separate power cable. Stopping the noise: Welder doesn’t stop with a monitor, though. You may want to carry your favorite music with you. “I’m also a fan of the service on’t forget how much a good set of headphones will help block out noise from screaming children or . You want to make full use of your time in any given location. So, if the purpose of the trip is to work with one client, are there other clients, prospects or vendors nearby who might appreciate even a quick visit? Planning an efficient itinerary may seem challenging when the region you are visiting is foreign to you. Between your cell phone and Google Maps, however, that excuse flies right out the window. If your trip takes you to some remote cornfield, then your family will see no benefit in sitting in a hotel room while you work. But, if travel to exciting cities or breath-taking scenic vistas keeps you away from your family more than you’d like, why not take them with you? Naturally, travel guests require an extra degree of pre-planning. Make sure they have an easy way to get from place to place on their own, or arrange for a tour guide if feasible. And, remember that the purpose here is to enhance your relationship, so make sure that you can allocate time to spend with them. The success of your small business often depends on spending significant time away from home. The first few trips may be rather exciting, but too much travel can definitely reduce the allure. You might be able to reduce business travel with video-conferencing like GoToMeeting, Skype (or Skype Business through Office 365) and others, but nothing fully replaces the benefits of face-to-face meetings, complete with business lunches that really help to cement relationships. With these tips in your toolbox, you can reduce the stress and help make the 100th trip as productive and enjoyable as the first.